The fertilisation of aneuploid eggs is the major cause of infertility, recurrent miscarriages and genetic disorders such as Down syndrome. Most aneuploidy results from chromosome segregation errors during the meiotic divisions of an oocyte, the egg’s progenitor cell. The basis for particularly error-prone chromosome segregation in human oocytes is not known. The pioneering study published in Science by the Medical Research Council (MRC) Laboratory of Molecular Biology in Cambridge, in collaboration with Bourn Hall Clinic, has revealed some of the reasons why this happens. 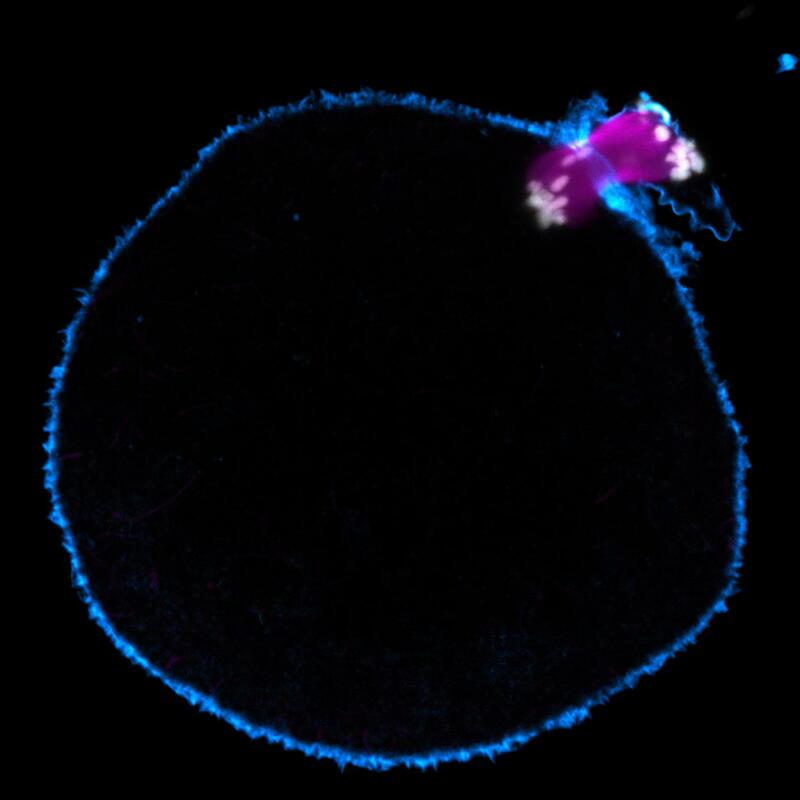 Dr. Zuzana Holubcová and her colleagues established an experimental system for ex vivo high-resolution fluorescence microscopy of human oocytes that enabled them to observe the major stages of meiosis in the laboratory. Using high-end imaging techniques, the scientists studied more than 100 immature eggs as they developed in vitro. For the first time ever, they were able to watch in real time the step-by-step process that leads to the formation of fertilisable human eggs. 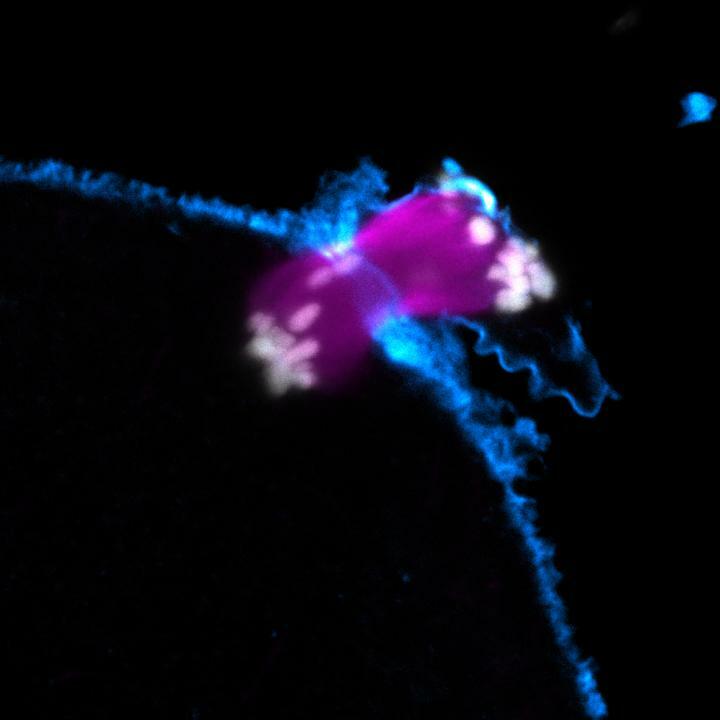 Scientists have found that unlike in other cell types, the cellular machinery - called a spindle - that eliminates half of the chromosomes, was assembled over an extremely long time period compared to other cells in the body. Human oocyte spindle assembly was controlled primarily by chromosomes and the small guanosine triphosphatase Ran and was independent of centrosomes or other microtubule organizing centres. This process took about 16 hours to complete, considerably longer than 30 minutes needed for spindle assembly in cells undergoing mitosis or the 3-5 hours required for mouse oocyte meiosis. The unusually long spindle assembly period was marked by intrinsic spindle instability. This frequently led to an abnormal arrangement of chromosomes in the spindle and an uneven distribution of chromosomes during cell division. The research suggests that differences in the mechanism by which the spindle is assembled could explain why chromosome separation in human eggs is less reliable than in other cell types. To improve fertility treatments it is essential to have a better understanding of meiosis and of the causes of chromosome segregation errors in human oocytes. This study reveals how fertilisable eggs are generated in humans. 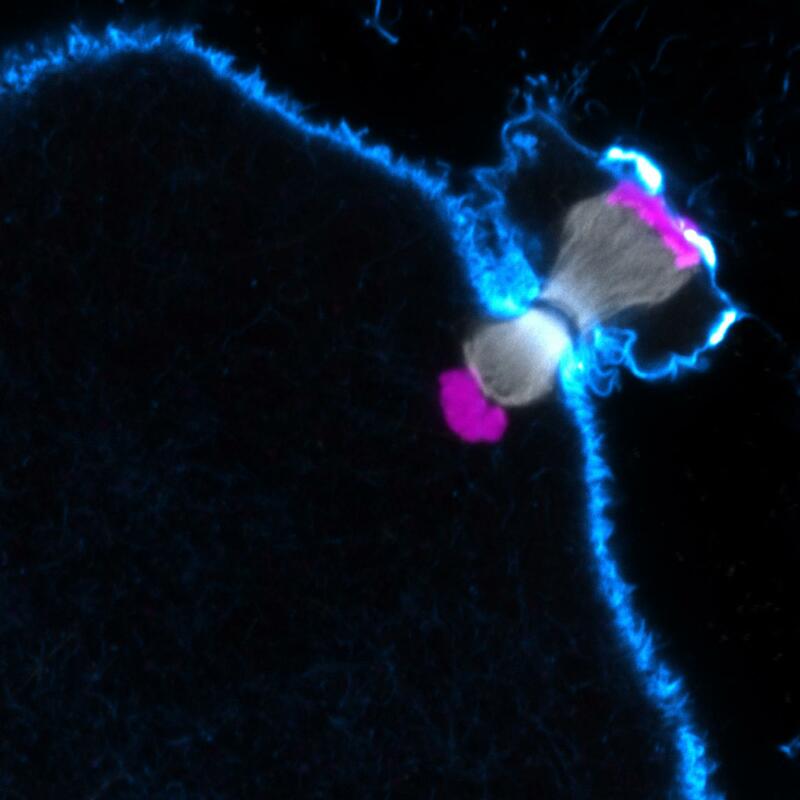 The imaging assays developed during this research will now allow studies of meiosis directly in live human oocytes and will provide the foundation to develop improved fertility treatments. Holubcová et. al. Science 5 June, 2015: Vol. 348 no. 6239 pp. 1143-1147. Temperature degradation effect on spindle stability/reassembly in oocytes has been observed by polarized light microscopy during cooling and freezing/thawing cycles (e.g. Wang, et al. 2001 PMID: 11679523, Rienzi et al. 2004 PMID: 14998966) . 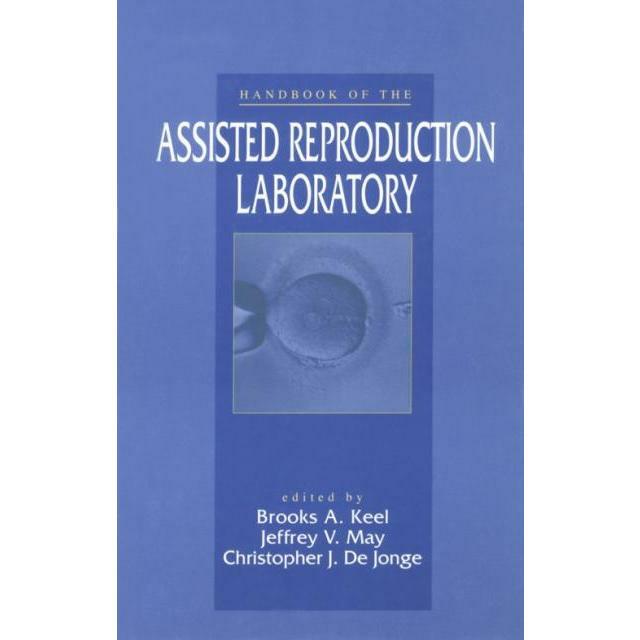 However, in this particular study maturing oocytes were kept in 37oC during transport from the clinic to research laboratory (portable incubator), during all procedures (heated stage) and long term imaging (incubation box with tight temperature control). Temperature degradation while in vitro may have a harmful effect on proper assembly-reassembly of the spindle. What research has addressed this issue and what results have been documented?